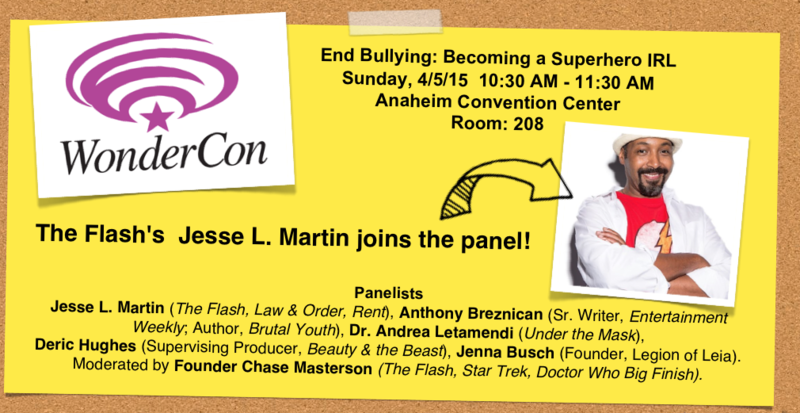 Los Angeles, CA, March 31, 2015 – Learn how to convert kryptonite into your own personal strength with Pop Culture Anti-Bullying Coalition’s powerful panel, back at WonderCon at the Anaheim Convention Center by popular demand. 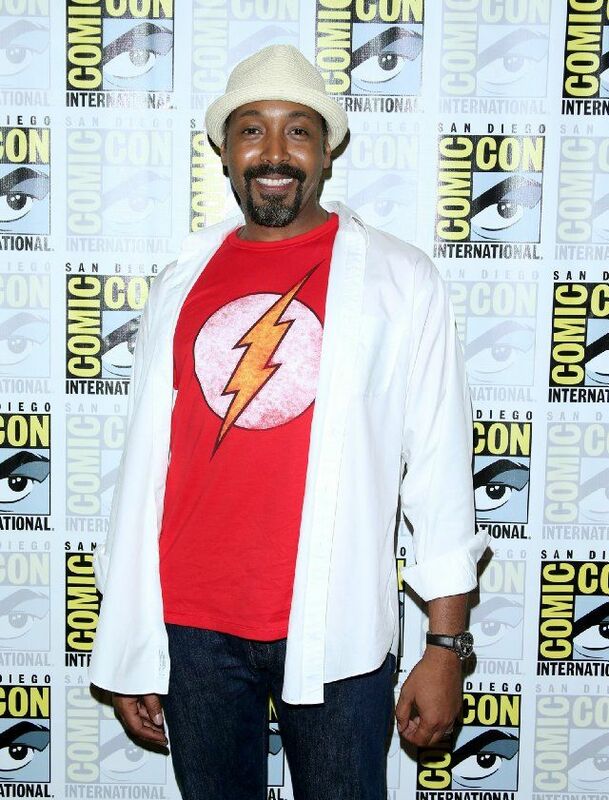 Jesse L. Martin of The Flash and Law & Order and the United Nations Association San Diego President Bettina Hausmann join the panel, along with celebs & experts Anthony Breznican (Senior Writer: Entertainment Weekly; Author: Brutal Youth), Deric Hughes (Supervising Producer, Beauty and the Beast), Dr. Andrea Letamendi (The Arkham Sessions), Jenna Busch (Founder, Legion of Leia), and Coalition Founder Chase Masterson (The Flash, Star Trek: DS9). Topics of discussion will include geek, cyber, and LGBT-bullying, becoming a hero IRL, and analyzing how media affects our attitudes toward bullying and aggression. There will be a Q&A. The unprecedented Coalition, which is all-volunteer and self-funded, was formed in 2013 by Chase Masterson and author Carrie Goldman (Harper Collins’ Bullied: What Every Parent, Teacher, and Kid Needs to Know About Ending the Cycle of Fear). “In our digitalized, media-driven society, pop culture has a constant influence on the way that both children and adults interpret the world. When kids see celebrities take action against bullying, it resonates strongly and sends the message that cruelty is not acceptable,” says Goldman. Coalition Partners include the United Nations Association, the Anti-Defamation League, Cartoon Network’s Stop Bullying: Speak Up, CW Seed’s Husbands and several national non-profits with initiatives to end bullying, including GLSEN, International Bullying Prevention Association, Girl Scouts of America, Brave Girls Alliance and the NoH8 Campaign. WonderCon, one of the undisputed epi-centers of the pop culture universe, draws over 60,000 fans to the Anaheim Convention Center. Pop Culture Anti- Bullying Coalition breaks unprecedented ground in bringing this crucial issue to the heart of the Con’s entertainment-driven conversations. PREVIOUS POST Previous post: Saturday Morning Cereal Episode 21 A Very Special Episode with Grace.